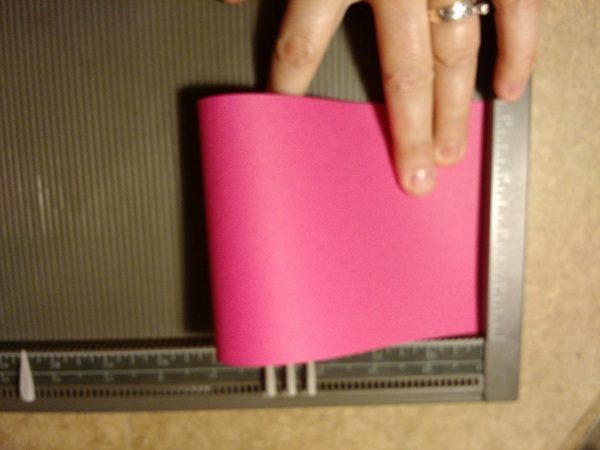 I wanted to share with you how to fold cardstock. There are so many different ways! Your thinking, I can fold a piece of paper! I know you can, but is it even at the bottom or square? I absolutely hate it when my cards are not folded straight. 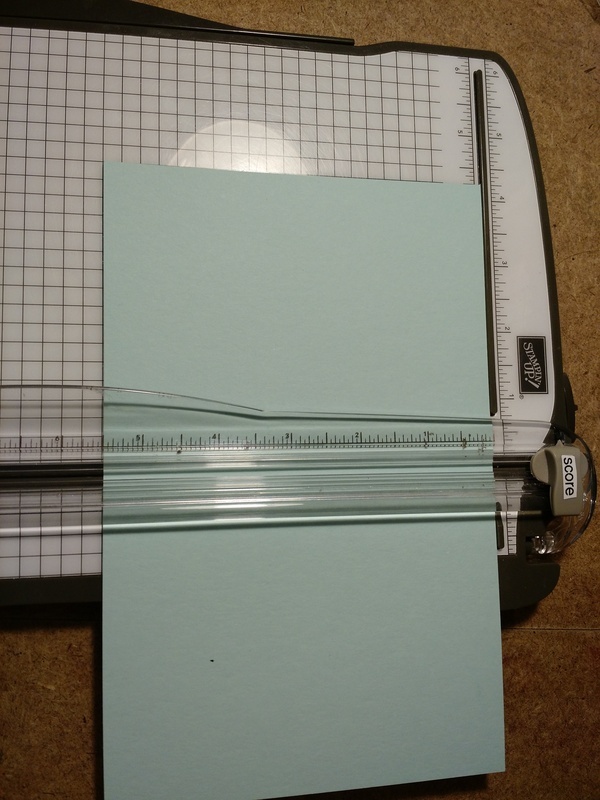 First, the most basic fold is for the 5-1/2 x 8-1/2 (half sheet) of cardstock. 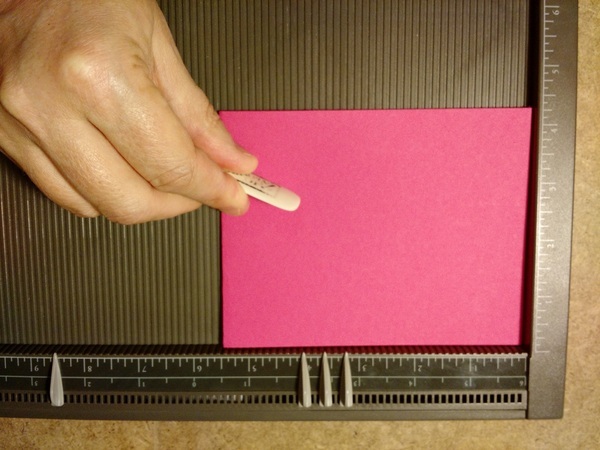 Place your cardstock in the Stampin' Trimmer at the 4-1/4" mark and use the score blade to score your card. 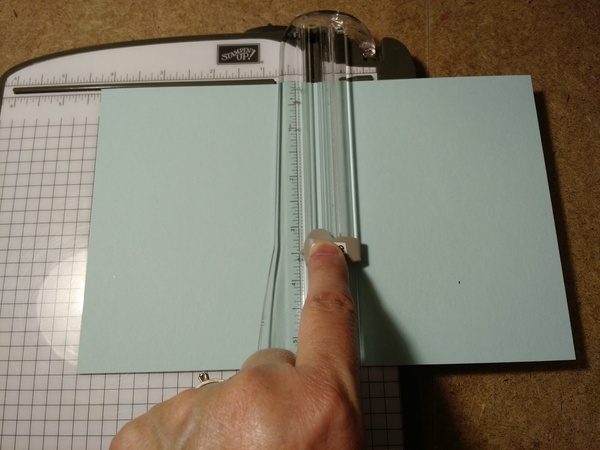 Then when you have that done, fold your cardstock and use your bone folder to crease the score line and that will give you a crisp, clean fold and help your card to stay shut and lay flat. Another method I like to use involve the Simply Score Board. This is one of my favorite methods. Place your card stock in the upper corner. 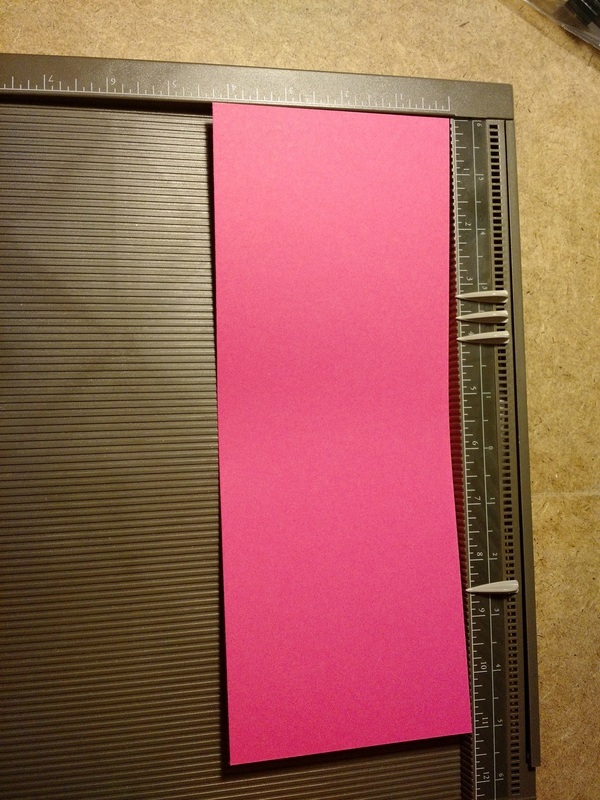 Fold in half by bringing the edge of the cardstock to meet the corner of the scoreboard. Perfect fold everytime! 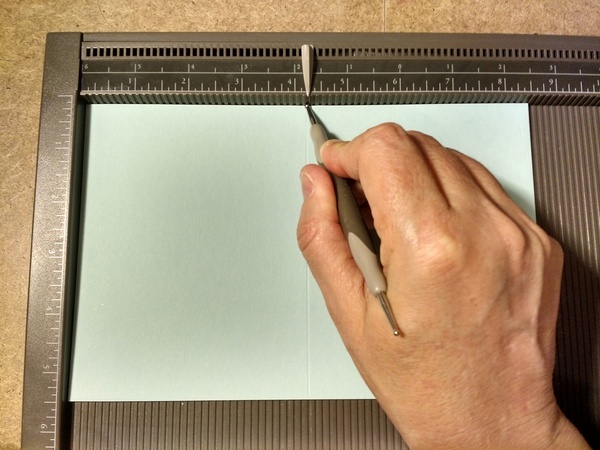 Now, using your bone folder, burnish the folded edge to make a nice crease. Yet, one more way to use the Simply Score tool. Your can also make a score line at the 4-1/4" mark with the stylus. And again, fold in half and burnish with your bone folder for a crisp, clean fold. These 3 very important tools are a must in any crafters rooms.